Frank McKenna became the darling of the Canadian business establishment and the centrepiece of the national media for his efforts to attract jobs to New Brunswick and for his social policy innovations. Deputy Chair of TD Bank Financial Group on May 1, 2006. He is responsible for supporting the Bank in its customer acquisition strategy, particularly in the area of Wholesale and Commercial Banking. Prior to joining TDBFG, he was posted to Washington, D.C. and served as the Canadian Ambassador to the United States of America from 2005 to 2006. In this presentation, Frank talks about the stability and strength of the Canadian housing and mortgage markets, as well as the current state of the national economy and what we can do to accelerate it to a higher orbit of economic activity. In this presentation, Frank shares insights from his experience as the Canadian Ambassador to the United States from 2005-06 while giving his thoughts on where we stand now and what the future holds. He delves into the economic and trade relations between the two countries while comparing physical resources, healthcare, business environment along with various intangible factors. This inspiring presentation, business speaker Frank McKenna focuses on the topic of hope and how it provides fuel to the system and gives great vitality to a community. He contrasts the negative focus of the mass media, with statistics comparing present day to other points in history, illustrating that mortality rates and crime rates are significantly down and life expectancy and standard of living is significantly up. At the same time, Frank tempers his message of hope with the fact that many people today are still struggling, marginalized by the society in which they live, and how we have more work to do in addressing these concerns. Frank has been an early advocate and vocal champion for a national pipeline network. He considers these essential infrastructure projects an extraordinary catalyst for economic growth. In his view, pan-Canadian project’s like this can help make a material difference in our lives and future generations. He argues that Canadians need to come together – all levels of government and interested stakeholders – to find the best way to unlock the full potential of our energy resources. Areas of focus can include Business, Capital Markets, and Politics. A truly articulate and passionate discussion of current affairs. Noted by all conference participants as the highlight of the event. Frank McKenna was appointed Deputy Chair of TD Bank Financial Group on May 1, 2006. He is responsible for supporting the Bank in its customer acquisition strategy, particularly in the area of Wholesale and Commercial Banking. In addition, he is representing TDBFG as it works to expand its North American presence as one of the ten largest banks as measured by market capitalization. Prior to joining TDBFG, he was posted to Washington, D.C. and served as the Canadian Ambassador to the United States of America from 2005 to 2006. Previously he served as Counsel to the Atlantic Canada law firm of McInnes Cooper and Consulting Counsel to Osler Hoskin and Harcourt in Toronto. During this same time, he played leading roles in numerous provincial, national and international companies. McKenna served as Premier of New Brunswick from 1987-1997, successfully winning three elections before honouring the promise he made when elected that he would not stay a day beyond 10 years. McKenna graduated from St. Francis Xavier University with a Bachelor of Arts, completed his post-graduate studies in political science at Queen’s University and graduated from the University of New Brunswick Law School as a silver medalist. McKenna also holds eight honourary doctorates from Canadian universities. 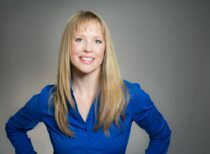 McKenna’s career has included participation as a member of the Saucier Committee on Corporate Governance and the Canadian Security Intelligence Review Committee. In a volunteer capacity, McKenna was a past National Head of Career Edge, a member of the Fund Raising Committee for the National Ballet School and has been involved with a number of organizations including the Canadian Business Hall of Fame, National Adult Literacy Database, New Brunswick Foundation for the Arts and the C.D. Howe Institute, as well as the capital campaigns of two major universities in New Brunswick. He is also the owner of Glenwood Kitchens, a manufacturer of kitchen cabinets for the Canadian, U.S. and Caribbean market. McKenna and his wife Julie have three grown children and seven grandchildren. They reside in both Cap Pele, New Brunswick and Toronto, Ontario.